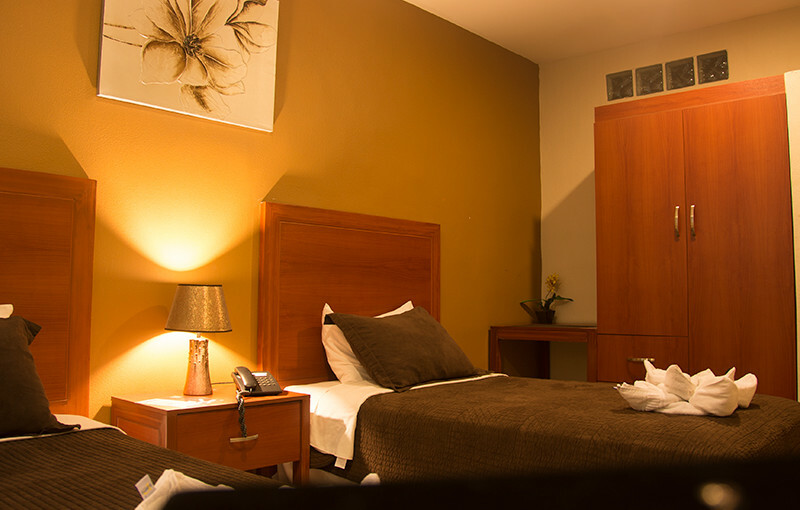 We have comfortable and spacious rooms. For additional cash discount is given , please contact us at the reception. 2 beds or 3 beds ( full and King) with a thought of offering a rest our guests design, and have adjustable central air conditioning with individual control, wall to wall carpet , flat screen TV with access to 70 channels international , internet , desk and chair , hands-free phone with direct dialing and voice mail, electronic lock , safe and minibar. 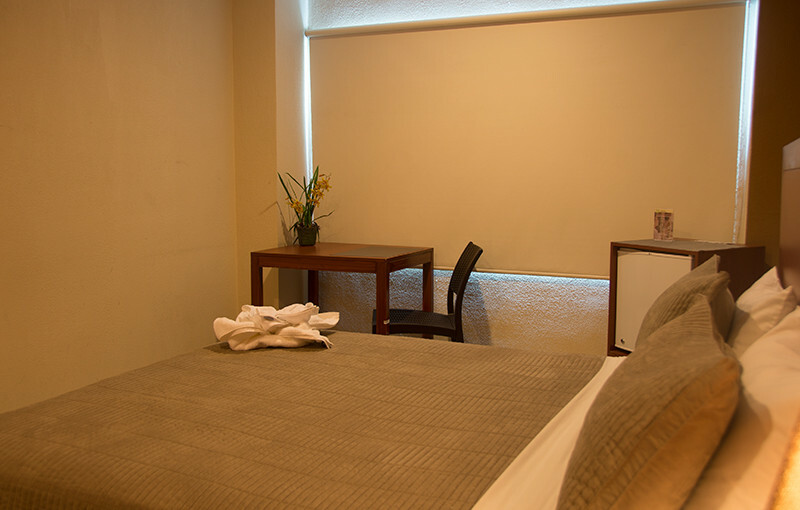 The triple room has three beds 1 ½ seats has option for an additional bed for 1 ½ being the first choice for tourist groups , provided a space for relaxation and rest, 40 m2. 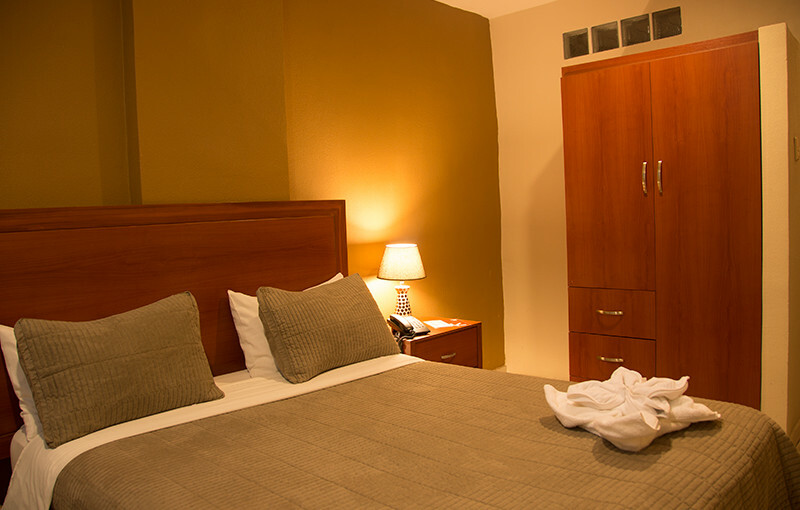 The rooms are designed in serene shades of colors combined contemporary style , each with private bath. It consists of two rooms , the first with a bed 2p ½ and the second room with two beds of 1 ½ square , providing access between rooms for a leisurely family break , at 40 m2. The rooms are designed in serene shades of colors combined contemporary style , each with private bath . 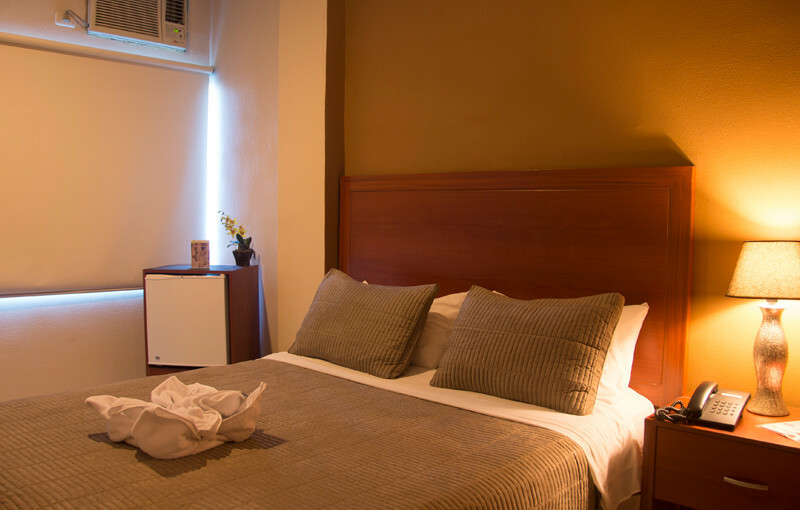 The Single room Garzota Inn Hotel offers harmony and elegance in its design ; and comfort with a bed for 2 1/2 to 20 m2. The rooms are designed in serene shades of colors by combining contemporary style. Double room has a bed for 2 people ½ giving a pleasant and relaxing break to tourists, offering harmony and elegance in its design in 20 m2. 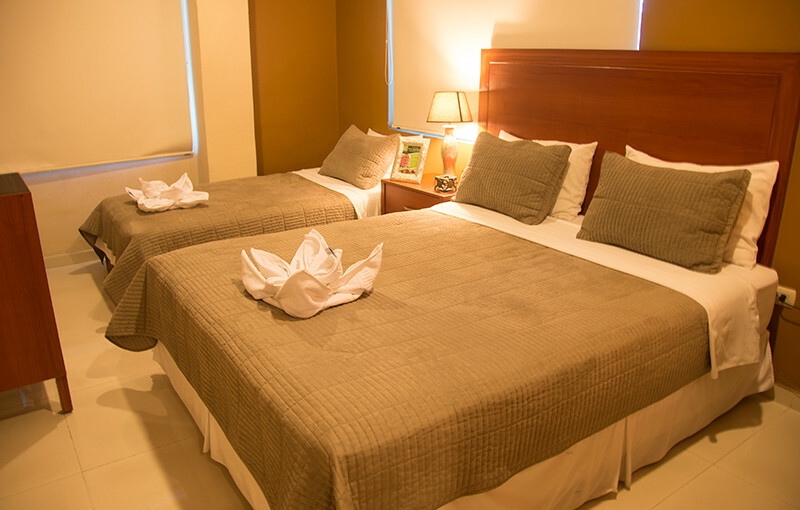 The rooms are designed in serene shades of colors combined contemporary style. The master bedroom has a bed 2p ½ giving a pleasant and relaxing break to tourists, offering harmony and elegance in its design in 20 m2. 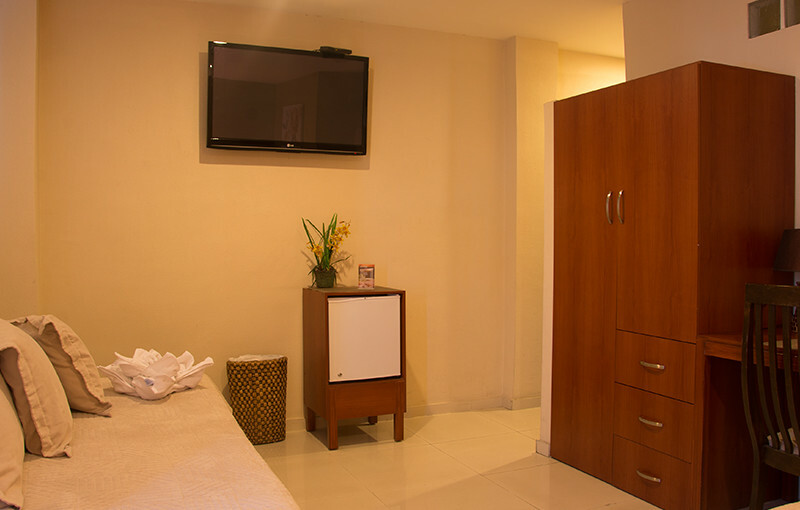 The rooms are designed in serene shades of colors combined contemporary style.